Chanel was born into relative poverty in Central France in 1883. Her father abandoned her, after her mother’s death, when she was just eleven years old into the care of nuns at an orphanage in an austere 12th Century Abbey at Aubazine where she remained until she was eighteen. Before Justine Picardie’s biography of Chanel many of these facts about Chanel’s early life were unknown. Justine skilfully tells the story of how the young Gabrielle (her name at christening) traversed her life’s path from birth to her death in The Ritz Hotel in Paris in January 1971. 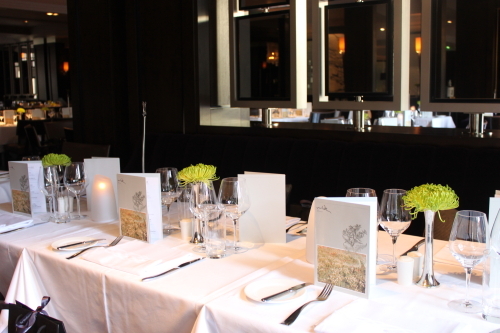 On Wednesday at a Literary Supper in Dublin, organized by The Gloss magazine, Justine spoke movingly about the book, about Coco Chanel, and somewhat about her own life. The idea of writing the biography first took root over a decade ago when she interviewed Karl Lagerfeld for a fashion magazine, at that time she was grieving following the death of her beloved sister Ruth. Years later while she was researching and writing the biography she again experienced loss and grief when her husband of twenty-one years left her. As part of her research she went to stay at the Aubazine Abbey and while there she was consumed by grief as she dwelt on the ending of her marriage. In her speech she said that she “needed to be in that state to begin to get to the heart of what it meant to be Coco Chanel.” Coco Chanel’s own life was marked by love, loss and abandonment: the biography is a very empathetic portrait of her . Chanel was a master of reinvention and she told many different versions of her early life. During the speech Justine mused that Coco Chanel was a bit of a magical thinker. In a flight of fanciful thinking, having listened to Justine’s warm, eloquent and moving talk, I now like to believe that from somewhere over the rainbow, Coco Chanel herself wanted Justine Picardie to be the one to re-examine her story and weave from the weft and warp of words a truer version of her life. 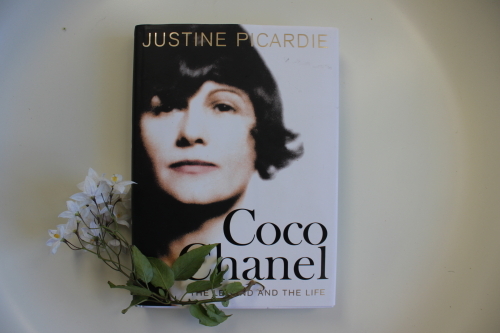 Note; while writing the book Justine Picardie spend time in Coco Chanel’s opulent apartment over the Rue Cambon shop. It is preserved exactly as it was in her day if you would like to have a look at the apartment click here to see a Vogue TV video. Hello B. I bought the book after reading your post and I just finished it. I loved it. I liked it so much that I’m going to dedicate my next post to the book and to you. Hi Francesca, I am so pleased that you enjoyed the book. I am also VERY hououred that you intend to mention me in your next post. Thank you so much.